What does a rice cooker, image stabilization, smartphones and bluetooth earphones have in common? They're all modern conveniences that have crept into my life as essentials. Things I at first thought I could live without and then realized, why??? Why the sudden transition into wireless? I'm one of those people who can't leave the house without a pair of earphones in my bag. 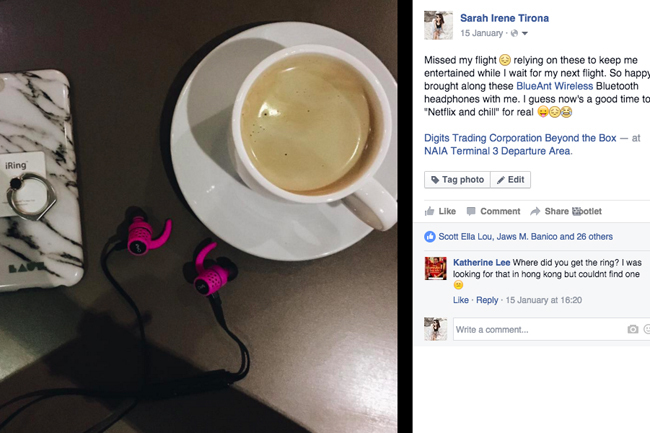 I listen to music all day, 24/7 especially when I need to travel/commute by myself. At night, it's either an audiobook or Netflix. (Which I stopped doing for a few months due to travel and a busy schedule but I noticed myself getting a bit pudgy and soft so...here I am again, trying....hehe). But I've been super lazy to do it WHICH makes the right kind of music with the RIGHT BPM measure an essential to help me keep things going. It was during one of these workout sessions when I realized that wired earphones simply won't do. Imagine this... I was getting into position, my heart was beginning to race, I was moving to the beat of a song and then the wire of my headphones got caught while I was doing some arm movements, earbud feel out of my ear, music gone, plus precious moments wasted while I fiddled to replace it back in my ear. It can get so frustrating especially when it happens repeatedly! Seriously! Can you feel my frustration? I hope so because the struggle is real. And that's why I've come to love these earphones by BlueAnt ♡. A full charge takes about 1 hour and provides up to 6 hours playing time! 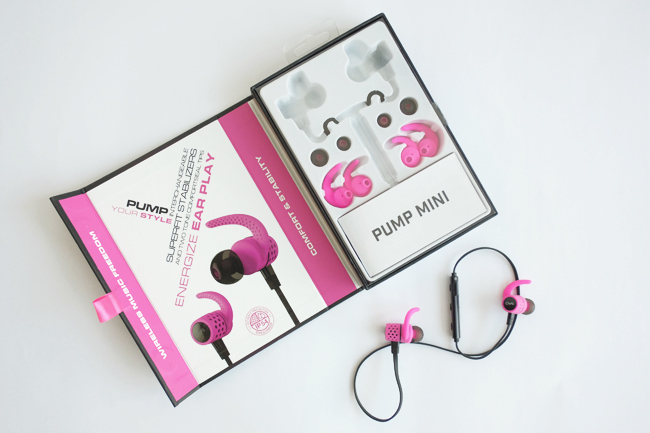 Each kit comes with 3 sizes of ear cushions to ensure a perfect fit for any user. Forget having to reach for your phone to answer calls or change music. 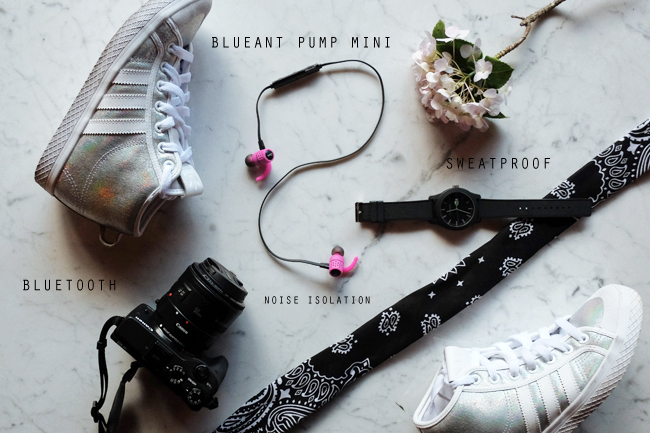 Blueant Pump Mini Earphones come with a microphone + a built-in touch control system that allows you to easily do all these things while on the go ~ even when your phone is out of reach or buried somewhere deep in your bag (a common problem I encounter during travels). Stays lodged in your ear even after bouncing around and running for hours. I got this several months ago and it took me quite awhile to write a review because of the price tag. 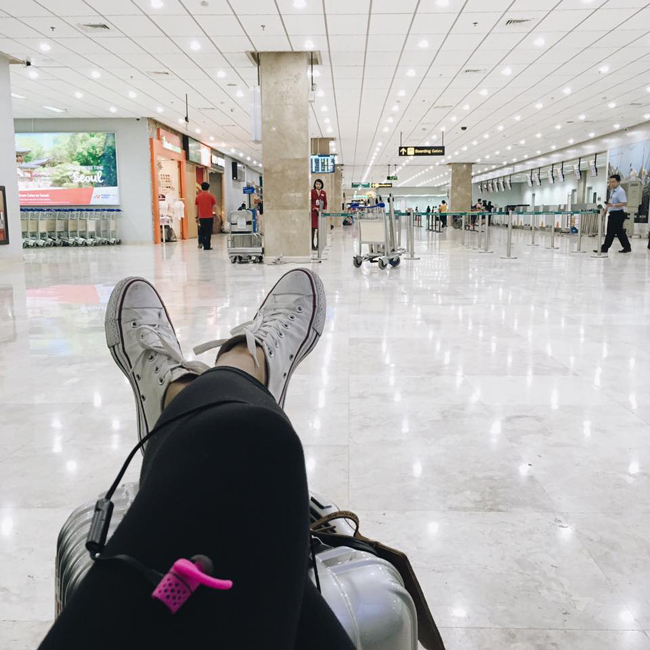 At P4750, I wanted it justified (you know how some of these just conk out after a few months...) so I tested it under different conditions, used it on all of my travels, and really just abused it as much as I can. What did I find? They're a sturdy pair of earphones! The wiring is good. I just chuck it in my bag or pants pocket without giving it a second thought, I pull it out roughly as well. I never babied my pair but it still looks good and works extremely well. If you're looking for a good pair of earphones to accompany your workouts and travels this summer season, I highly recommend these. Even if you're not working out, these are also great for strolling under the hot sun on the beach. 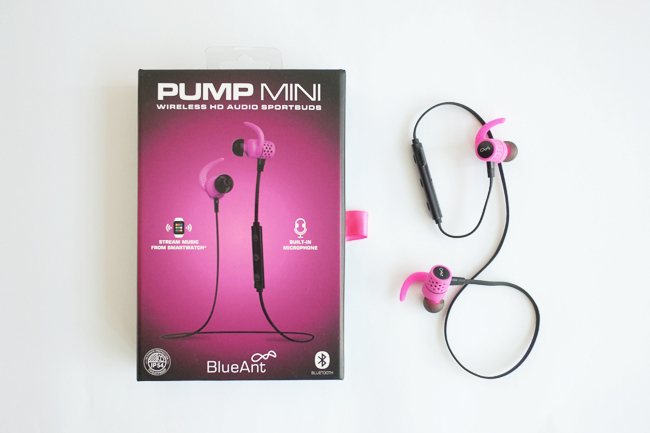 BLUEANT PUMP MINI EARPHONES are distributed by Digits Trading and can be found at all Beyond The Box and Digital Walker shops nationwide. I always believe it's safest and wisest to invest on more expensive things, in your case the earphones, as they will last definitely longerrrrr. And upon hearing there's a pair for the male specie, might as well buy my husband one. He loves earphones. 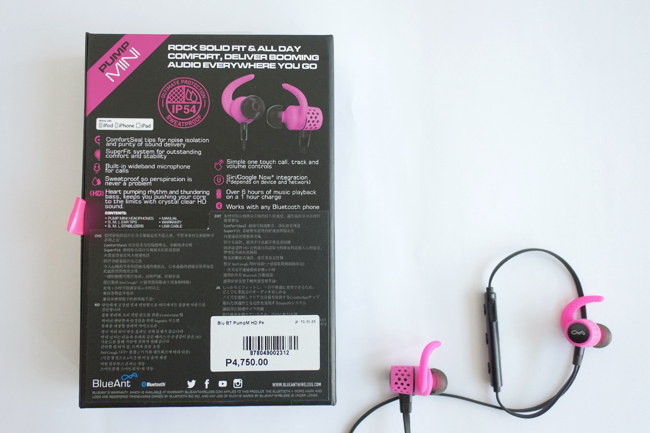 Too expensive for an ear phone but you did a great review that make me wanna have them. Great review! ang cute pa ng color ng earphones! too pricey for a pair of earphones, yes, but worth every penny for all its features. a great companion for runners or other sports enthusiasts! These look very nice to have. And wireless, too? Really nice. Would love to own a pair.